In the beginning, the inception of “Start in Tioman” in 2007 was to promote awareness about the importance of marine ecological stability. For that reason, the Ministry of Tourism Malaysia, Tourism Malaysia Pahang, Tioman Development Authority, Pahang State Government, Villagers Travel & Tours, Divers Association and Diving Centre Operators joined together to implement the plan. With a lot of exposure and promotions from the media, the “Start in Tioman” has been one of the successful events in Tioman, drawing in public and divers’ attention to the program. 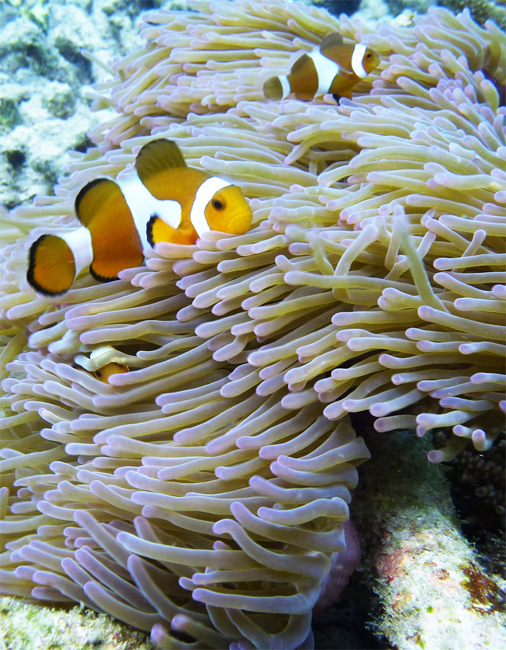 This year’s “Start in Tioman” was made up of three groups of participants, namely the divers, snorkellers and students. The divers’ group consisted of those who have diving licence and are able to join the diving group; the snorkelers’ group was made up of those who want to snorkel and enjoy other activities; while the students’ group were those who wish to learn to dive and have a diving licence. Damai Resort in Kampung Genting was again the proud host for Start in Tioman 2012. This year, the event was graced by the presence of the Director of Ministry of Tourism, Pahang office, Tuan Haji Idros Yahya, who is also an active diver himself. Other than that, members of the celebrity rock group Wings were also present with their families to show their support towards promoting awareness towards the importance to preserve the marine ecology. One of the highlights of the four-day event was “Adopt a Coral” program, where participants were encouraged to adopt a coral to be planted at the Damai House Coral. 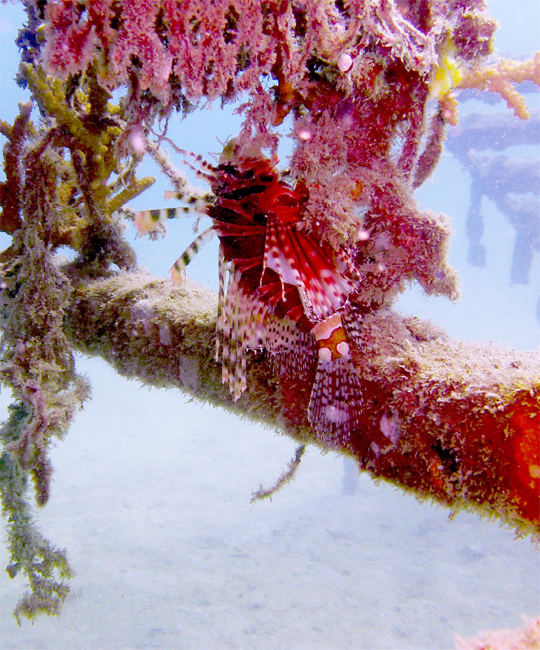 This event was a joint venture between Dorken Reef Resources and Tioman Marine Park. 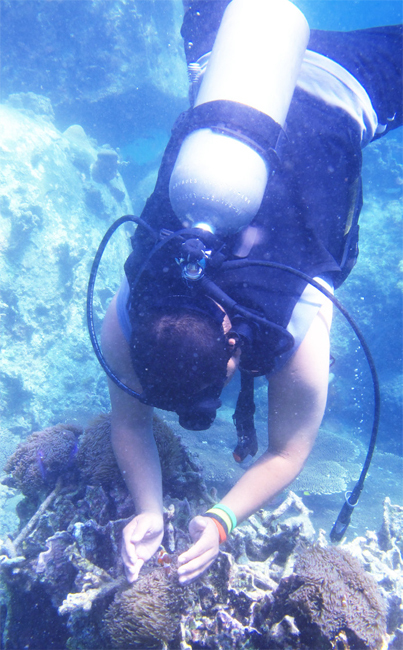 This year marked the first of such program, after five years of successfully educating participants about the importance of corals towards sustaining the marine ecology. 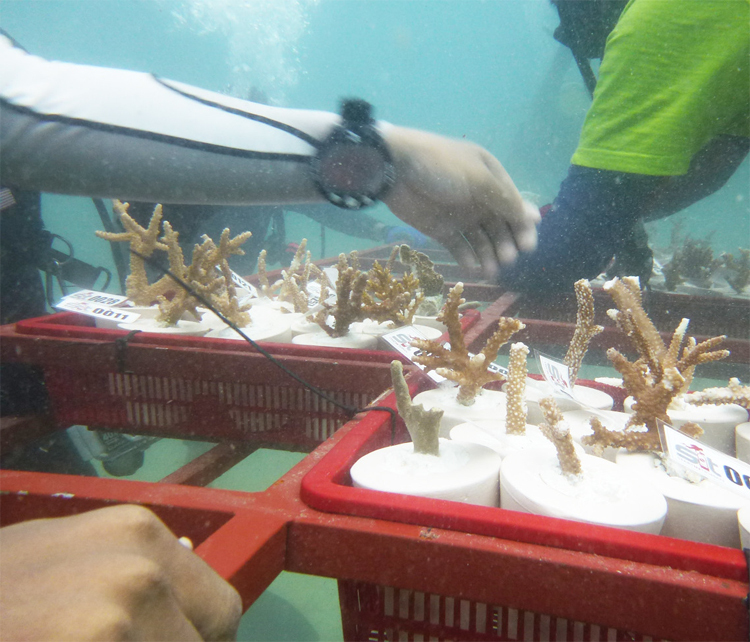 “Adopt-a-Coral” program required the participants to pay a minimal fee of RM50 for administration and maintenance of the corals. 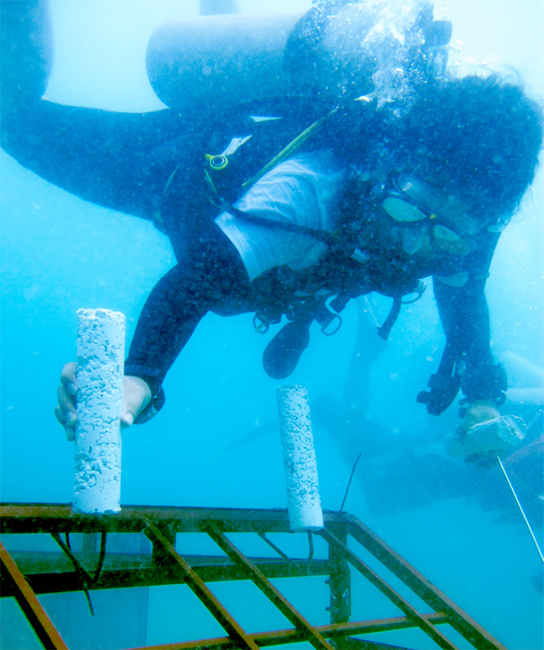 Participants who adopted the corals will be given the chance to tag their company or even their own name on the corals so that the next time they come back to Tioman Island, they could see check on how their corals progress. Another interesting program was the beach clean up, putting all participants to come together and (what else?) clean the beach. Besides that, “Start in Tioman” has also organised a beach volleyball competition, that allowed participants to mingle with each other. 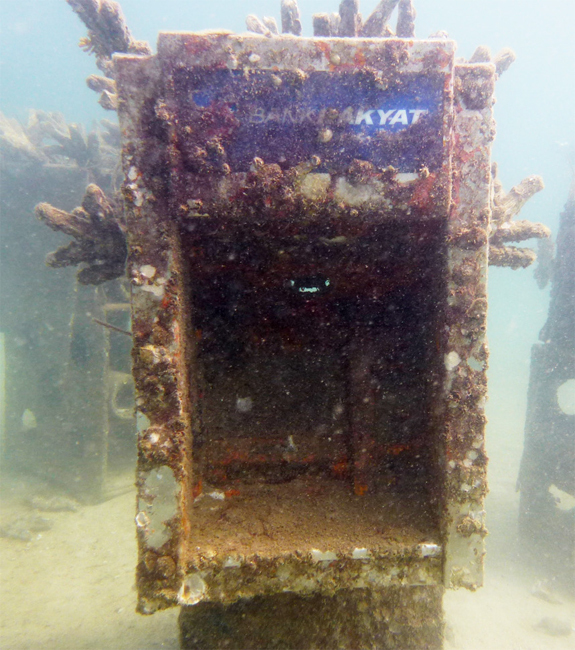 It also witnessed the announcement of a loyalty program for divers, whereby each one of those who obtained license from Tioman will be given “SiT Card”, a loyalty card that entitles the bearer to certain amount of discount when they visit Tioman island again for diving. This is one of the approaches used by the Pahang state authority and Tioman Development Authority to promote Tioman as one of the most sought after diving destinations in Malaysia. “Start in Tioman” culminated with the prize-giving night. Prizes were given to winners for beach volleyball, best underwater photos and lucky draws. 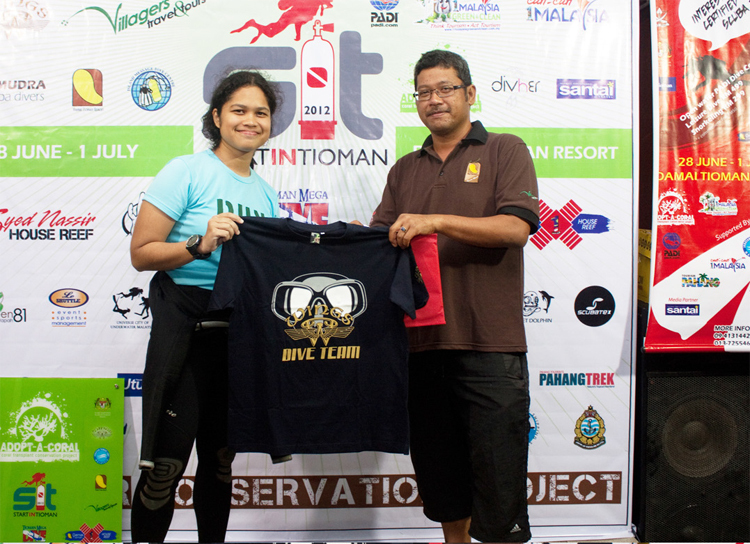 “Start in Tioman” managed to achieve its objectives, which was to unite divers and the public under one mission: to preserve and conserve the marine ecology not only in Tioman, but throughout the whole world. This initiative in Tioman is hoped to aspire similar movements everywhere else towards preserving the earth’s delicate ecosystems.